Are you making your first steps in the world of coffee brewing and need a perfect machine to get the ball rolling? Does it all seem like a rocket science a bit? 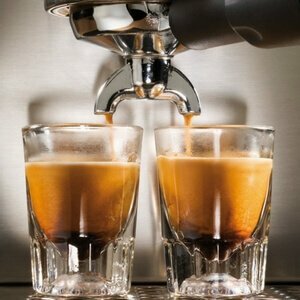 A good coffee machine is the mainstay of a great espresso setup. However, from a perspective of a newcomer, this mechanical servant can seem pretty intimidating. Indeed, espresso machines tend to be more finicky than standard drip makers. All those buttons, settings, and knobs, are confusing, to say the least. To make more sense of those, notice that machines are not created equal as some are more approachable and user-friendly than the others. The right product is the one that will make the understanding of all the variables much, much easier. Therefore, we will present the best espresso machines for beginners that consistently allow you to make espresso shots, and do it nice and easy. They will give you a foot in the door into the realm of coffee-infused hedonism and bring barista-quality espressos to life. 1 What is the Best Espresso Machine for Beginners in 2019? 2.1.3 Who is it for? 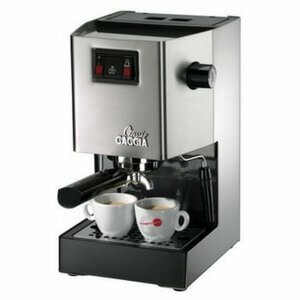 2.1.4 Where to Buy the Gaggia Classic? 2.2.3 Who is it for? 2.2.4 Where to Buy the Breville Infuser? 2.3.3 Who is it for? 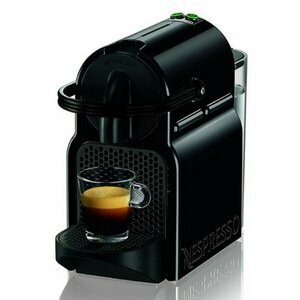 2.3.4 Where to Buy the Nespresso Inissia? 4.1 Did you like my Best Espresso Machine for Beginners Guide? Right off the bat, it is time to bring some timeless Italian flair to your counter. At the first glance, one cannot but marvel the classy appearance and industrial-chic vibe of Gaggia Classic, something you rarely find these days. After all, this is a tweaked version of a machine that has been around for decades (since 1991), the best selling model that is well-loved worldwide. There are good reasons why the semi-automatic Classic blueprint manages to stand the ultimate test of time. Looking beyond aesthetics and its stainless steel housing, the Gaggia Classic holds up. Its high-grade build blends exalted longevity and amazing performance. Like other machines on our list, it is also easy to use. The controls are intuitive and should not give anyone a hard time. Just notice right away that there is one trick: The internal sleeve must be properly installed so that it protrudes the lower part of the external sleeve. Moving on, the heat stability is solid thanks to the portafilter and brew group as well as forged brass components. It also helps that there is a three-way solenoid valve and an independent expansion valve. The Pannarello wand frothing is an excellent tool for cappuccinos and lattes and it also doubles as a hot water dispenser. Intake hole siphons air directly into the milk, which allows for specialty beverage brewing. A removable, 72 oz-reservoir is a breeze to fill and clean. There are brews for both single and double shots. We like that this machine also comes with a few accessories, including chrome-plated brass portafilter, coffee tamper, as well as a 7-gram measuring scoop. One can choose between commercial or pressurized filter baskets, as both are present. Moreover, one amazing thing about Classic is that it is simple to modify with add-ons. It must be said, though, that there are a few issues related to performance. Sometimes, the pump experiences “hiccups” mid-shot, which causes pressure fluctuations. What is more, the plastic steam wand produces subpar foam, with large and unruly bubbles. On a brighter note, these problems are expected to be solved with Gaggia’s new models. Both beginners and coffee experts swear by Gaggia Classic, which speaks volumes about its exceptional value and versatility. Also, home tinkerers will find it to be an amazing asset that can be upgraded with various accessories. When classic design and modern technology meet, great things are bound to happen. Where to Buy the Gaggia Classic? Next, we present the 17 pounds of cutting-edge tech. There are many reasons why this Breville product ranks among our favorites, but let’s just start with a top-fill tank with a removable filter that treats impurities and scale. The build is superb all around and the parts that come in contact with the coffee are BPA-free. The overall design is as user-friendly as it gets, and the documentation is comprehensive. The price is more than justified and I would even say that considering all the benefits, this machine is rather affordable. As for the performance, it is superior both in the areas of making espresso and milk steaming. One of the selling points is that there are both automatic features, such as temperature control and manual functions like volumetric control. To our utmost joy, the pre-infusion function uses gentle water pressure to expand grinds and foster even extraction. The water temperature is managed by a 1660w, stainless steel thermocoil heating system. As a beginner, you will be happy to hear that the auto-purge feature adjust the temperature after steam as well, which facilitates optimal extraction process. Furthermore, a 15-bar Italian pump gives you full volumetric control, meaning it is possible to opt for reprogrammable, manual override, or preset volumes. As a result, the irregularities, cracks, and gaps in the coffee puck are mended. This machine simply produces a flavorful shot of espresso every time. Other helpful features involve excess water removal, cup warmer on the top, and extra-tall cup clearance. To make your life even easier, the Infuser “goes to sleep” after 1 hour of inactivity and automatically shuts down after 3 hours. On top of that, there is a pressure gauge that monitors everything as well as some neat touches like “Empty Me” and “Clean Me” alerts. It seems that we are running out of space to present everything this machine has to offer. Let us just mention that for a reasonable price, you also get the coffee scoop, stainless steel jug, single and dual wall filter baskets, cleaning tools, water filter holder and the filter itself. And in case you want to prepare Americano coffee, hot chocolate or just warm cups, there is dedicated outlet for instant hot water. The Infuser offers sublime ease of use and comes with all the accessories you need to kick off your espresso adventure. It is everything a beginner could want and need from a machine. Thus, it is a perfect entry point for those who like coffee and want to learn more about the processes that make or break it. 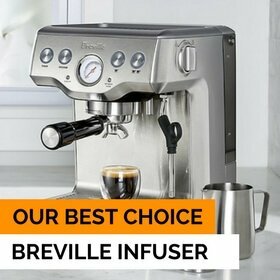 Where to Buy the Breville Infuser? Finally, we come to Nespresso Inissia, a fully automated, no-fuss machine for producing café-worthy drinks. What first catches the attention is its adorable, compact design, which is sure to save the precious counter space. You can get it in any palette of colors to personalize the coffee experience. The design also allows easy insertion and ejection of capsules and the container can hold 9-11 used ones. A welcome set includes 16 capsules with distinctive aromas. The aluminum capsules are hermetically sealed and recyclable. All in all, you can count on an opulent spectrum of aromas and taste for years to come. Just bear in mind that if you go for Inissia, you are committing yourself to utilizing a Nespresso pod coffee system, which is not so bad if you are still new to espresso-making. The drinks menu may be limited in a way, but there a lot of functionality for an entry-level model. The fast preheating takes only 25 seconds. The water reaches the optimal temperature so fast you may not even notice it, and you can make up to 9 cups. This is instant coffee enjoyment at its best. An easy-fill water tank is certainly a benefit, but the capacity will not blow your mind since it just 700 ml. In the light of the dimensions of the machine, that is still pretty good. Also, the tank has a lid that prevents spillages between the tap and machine. A 19-bar high-pressure pump works like a charm. The extraction system and one-touch operation deliver barista-style coffee without any inconveniences. The size of the cup can be adjusted with Espresso and Lungo buttons. There is an ergonomic handle and the folding cup tray is able to accommodate tall recipe glasses. It also drops down automatically as the user removes the cup. As an added benefit, Inissia is highly energy-efficient: It has class A energy rating. The automatic power off feature kicks in after just 9 minutes of inactivity. Here is what to take into account when considering this smart little coffee maker. Inissia is a sound choice for anyone seeking a machine that does not require you to learn all the ins and outs of espresso making. Those who are pondering on their first pod coffee machine should consider it a no-brainer. Do not hesitate to get your as-good-as-Starbucks espresso without having to leave the comfort of your home. Where to Buy the Nespresso Inissia? Coffee aficionados know their tools and tricks of the trade, but what about those who are only making their baby steps? Well, they can rely on tried and tested machines that do not face users with a steep learning curve. They make all the difference for all coffee addicts with little to no experience. 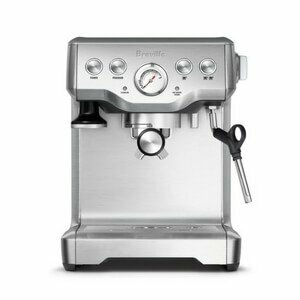 In case you were wondering, for us, Breville is the best espresso machine for beginners. It provides unparalleled consistency and remarkable ease of use. This may not be a landslide victory, but it is a decisive one. With a bit of understanding and cultivation of skills, it works wonders even in the hands of a beginner. So, go ahead and make it happen. Cut down on the weekly trips to Starbucks. Get into the fine art and craft of espresso making without breaking the bank or losing nerve. Turn yourself into a barista and dip your toes into endless espresso savor with the buss of the button. 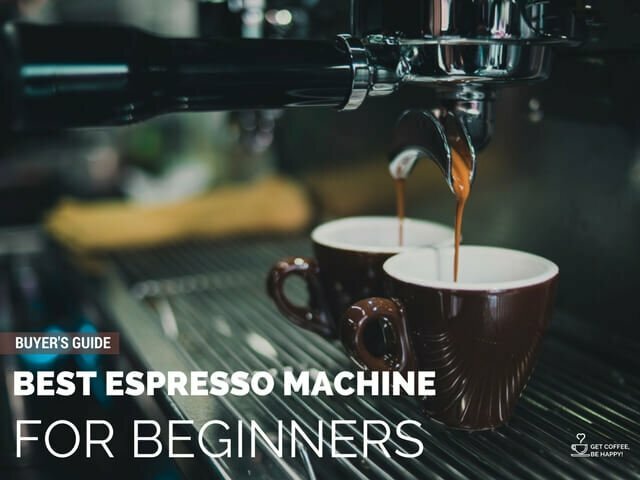 Did you like my Best Espresso Machine for Beginners Guide? Are you making your first steps in the world of coffee brewing? Here's my Guide to the Best Espresso Machine for Beginners to get the ball rolling!